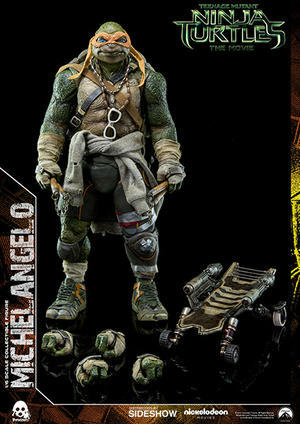 Threezero are thrilled to announce the Michelangelo Sixth Scale Collectible Figure based on the film Teenage Mutant Ninja Turtles (2014). 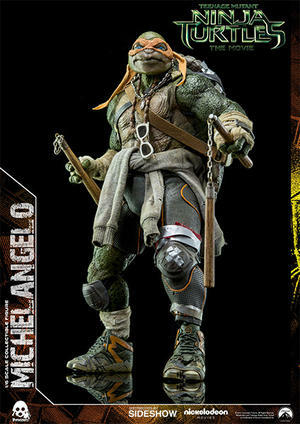 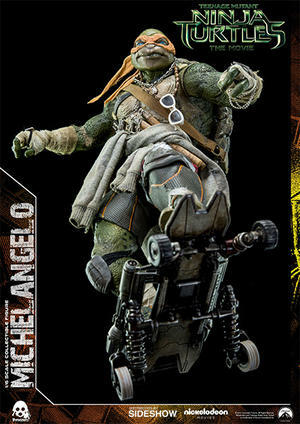 Designed after the wise-cracking turtle Michelangelo's on-screen appearance, this accurate figure features interchangeable hands, a pair of nunchucks, sunglasses and a skateboard. 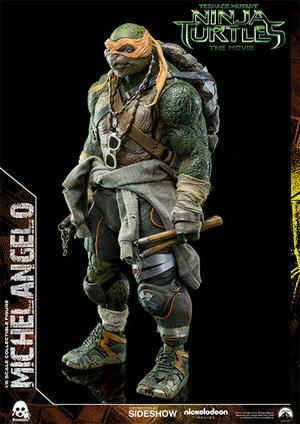 TMNT fans, don't miss your chance to add the jokester of the group to your Teenage Mutant Ninja Turtles collection!